Pfc. Johnie J. Jones, son of Mr. and Mrs. Jim J. Jones, husband of Opal Willman. Entered Army in 1944, trained at Camp Wolters, Texas. 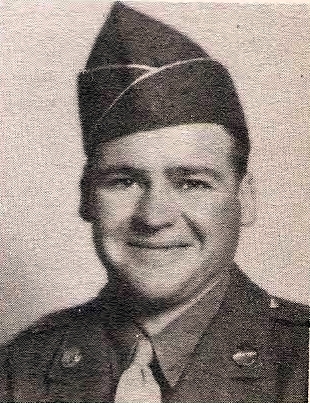 Served in Hawaii, Saipan, Okinawa and Korea. Awarded GC Medal, Inf. Combat Badge Victory Medal, APO Ribbon with 2 Battle Stars. Discharged, 1946.